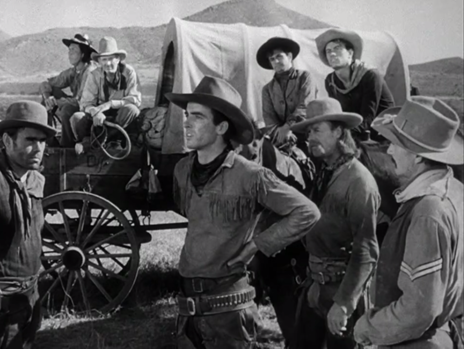 Any conversation on quintessential American Westerns certainly has to at least consider Red River. It has genre mainstay John Wayne in one of his most stirring performances, a moody precursor to The Searchers. 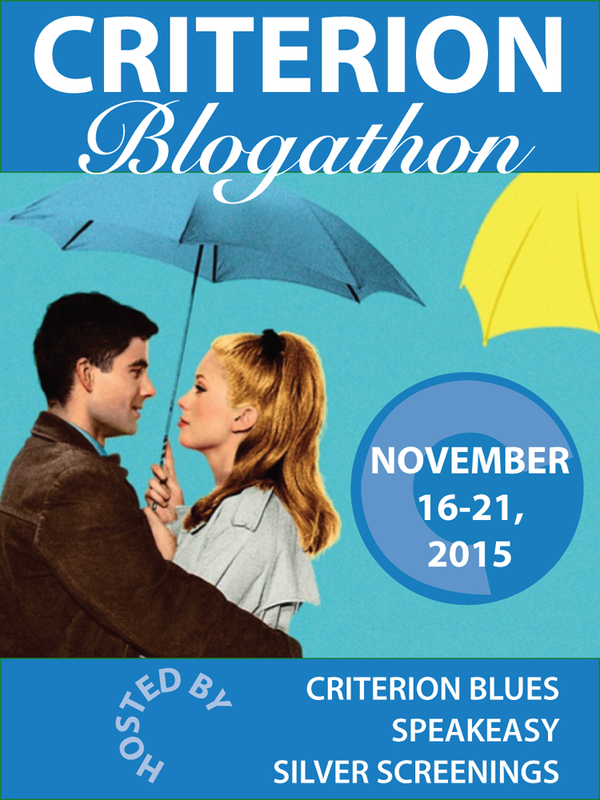 It boasts the debut of the often criminally under-appreciated method actor Monty Clift. 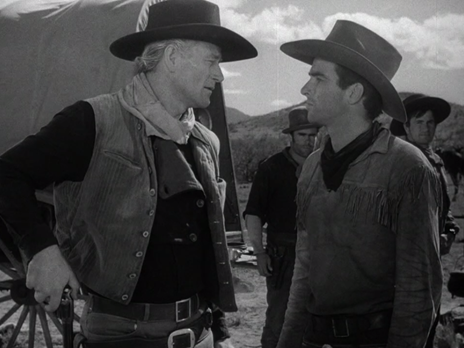 Moreover, it’s cinematic space is filled out by a colorful array of prominent Western stock players. You have the always ornery Walter Brennan, pudgy Noah Beery Jr., Harey Carey Jr., Hank Worden, and numerous others. 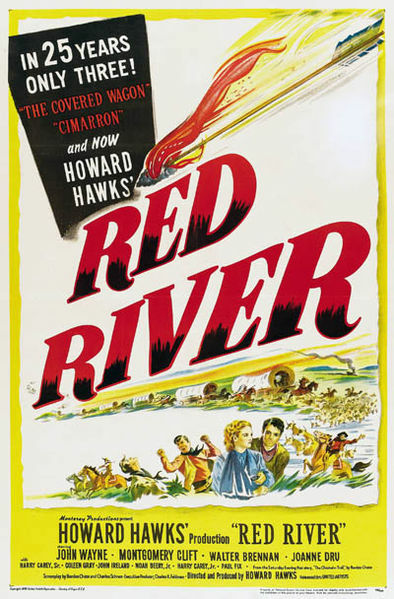 For a second you can even forget that this isn’t a John Ford film, but instead, the story is placed in the ever-adept hands of Howard Hawks, who knows how to craft compelling stories no matter the genre he’s working in. In 1851, before Tom Dunson (Wayne) settles on a new plot of land near the Rio Grande and begins to raise his cattle with the brand of the Red River D, he loses the love of his life to an Indian raid, while also picking up an orphaned boy in the aftermath. That young man, Matt Garth (Clift), would become like Dunson’s adopted son and his right-hand man when it comes to running his ranch. The rest of Red River is essentially a road film that chronicles the first cattle drive along the Chisolm Trail. It’s bound to be a gritty, sweaty, and undoubtedly smelly road ahead as Wayne and Clift take the reins on this journey. The intrigue comes with power dynamics because when you put two or more people in a confined space sparks are bound to fly at some point. When Dunson begins the massive journey to sell his cattle in Missouri, many wranglers sign on for prospects ahead, but they don’t quite know the degree of hardship that they will face. Soon enough, a stampede leaves one man dead and the company without one of their chuck wagons of provisions. Dunson is a hard taskmaster, who expects his hired hands to finish their job. Morale in the band begins to sink from lack of food and fierce downpours that leave most everyone dejected and distraught. Then, when Dunson prepares to hang two deserters to make an example out of them, Matt must finally step in. He’s always the subservient one, always backing Dunson with his gun, but for the first time in his life, he crosses the will of his mentor. All the wranglers are quick to continue the journey as they change course for Abilene Kansans and the prospect of the railroad. But Garth leaves a brooding Dunson behind, vowing to kill Matt if it’s the last thing he does. It’s this act of the story which brings to mind the Biblical vendetta of Esau as he pursues his kin for stealing his birthright. 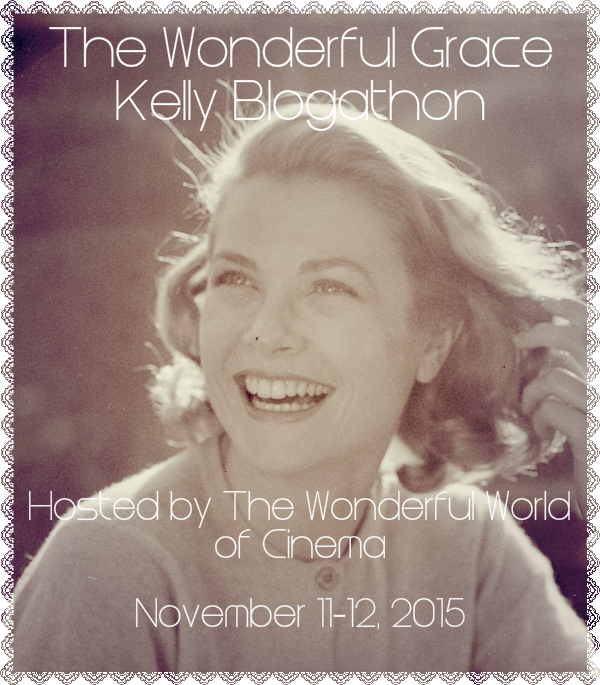 Garth and his contingent do end up getting to Abilene and are met with open arms by the kindly Mr. Melville, however, perhaps, more importantly, Matt falls in love with a fiery beauty (Joanne Dru) and must leave her behind. Days later Tess Millay also meets Tom Dunson, the man she has heard so much about, and he’s far from being dissuaded from his mission. Thus, the expected showdown comes with Dunson riding into town with his hired guns, the alarm being sounded, and Garth waiting for him. Dunson draws and Garth will not. It’s a fitting moment, but Howard Hawks develops it in a fabulous way. He fills it with tension and ultimately a hint of humor. The addition of Joanne Dru shifts the power dynamic and she says what everyone else is thinking while angrily packing a pistol. Because if Red River was story alone, it would not be the preeminent Western that it is, and I think I made that mistake before. Hawks is a master at using all his actors to perfection in not simply the climactic moments, but also the lulls. With such a substantial ensemble, even the way he positions all his players in the scene holds importance. His scenes are continually interesting from talk of Walter Brennan’s false teeth to complaints about the abysmal quality of the coffee. My only qualm with the film is the rather shoddy transitions, and so I am interested in getting a look at the theatrical cut with narration from Brennan. John Ford famously quipped that he never knew that Wayne could act until this film, and it’s true that he gives a darkly vengeful performance. 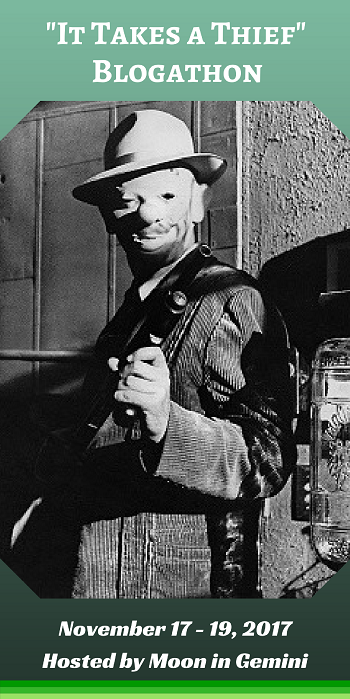 But in many ways, Clift proves himself as a worthy co-star. There’s always a tightness, a lilt to his voice, that signals an earnestness and vulnerability. It starts coming out in this film right when he knows that he’s no longer going to follow Dunson. It took two starkly different actors to make the narrative work as well as it did, and Hawks added yet another classic to his catalog. 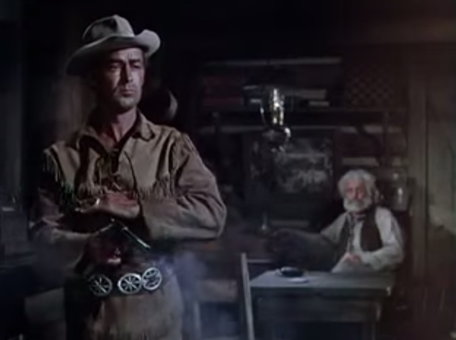 On a side note, the music of Dimitri Tiomkin was noticeable, because the refrains can be heard verbatim in Rio Bravo. If something’s good why change it, right? Jackson Hole, Wyoming and the looming Tetons lend the same iconic majesty to this western that Monument Valley does for many of Ford’s best pictures. But then again, George Stevens was another master and he too was changed by the war, coming back with a different tone and an “American Trilogy” that included some of his best work. Shot in Technicolor, this picture boasts more than wide open spaces and raw Midwestern imagery. Stevens has some wonderfully constructed sequences and there are a number of great characters to inhabit them. Shane is the eponymous gunman who is content to linger in the background while others become the focal point. 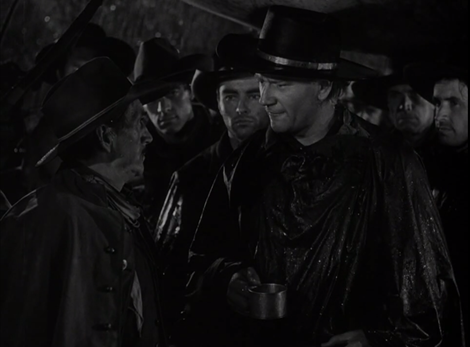 Namely, Joe Starrett (Van Heflin), a man who came to the untamed land due to the Homestead Act and won’t let the rancher Stryker muscle them off the land that he believes is rightfully theirs. Despite this being her final film — and a favor to her previous collaborator Stevens — Jean Arthur is as wonderful as ever. The character Marian is brimming with goodness and a sensitivity that is hard to discount. It’s a part very different than her earlier work and yet she plays it so wonderfully. As for newcomer Brandon De Wilde, he’s an astute little actor and we really see this world through his eyes, so he does wonders to hold the story together. Grafton’s general store and saloon become a wonderful arena of conflict within the film because it is rather like Ryker’s stomping ground since he and his men can always be found lounging around there when they aren’t terrorizing some poor sodbuster. After he agrees to work for Starrett, Shane goes into town for new duds, leaving his gun behind, and he quickly learns what he’s in for. It’s in such a scene that we learn who this man really is. He’s not a hot-head and he initially takes the abuse of Stryker’s guns, who call him out for purchasing soda pop. It’s for the boy Joey, but he doesn’t have to say that, because he needs not prove himself, at least not yet. Also, the relationship between Shane and Marian might be troubling to some — will they fall for each other — but when Ryker makes insinuations about Starrett’s wife, Shane is quick to shut him up. He’s not that kind of man. When Shane does return to the store, he’s prepared this time for retaliation and although it might not have been the smartest thing, it sure is gratifying for him and for the audience. He and Starrett make a killer team, after all, beaten and bruised as they end up. What follows is retribution from Stryker as he tries to buy out, threaten, and continually lean on the sodbusters, but Starrett remains resolute in keeping his friends together. In fact, there’s still time to share a wonderful Fourth of July dance with all the neighbors and it shows signs of a brighter, happier time that could be possible. With neighbors joining together in simple community and sharing life together. Shane feels somewhat out of place in this type of environment, and maybe deep down he knows it too, but he seems oddly content. 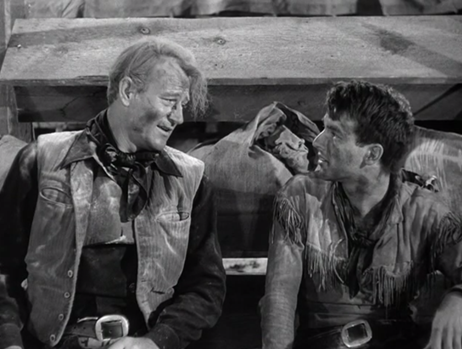 This happy time is juxtaposed with the funeral of ornery “Stonewall” (Elisha Cook Jr.), who was gunned down near the saloon by hired gun Jack Wilson (Jack Palance). 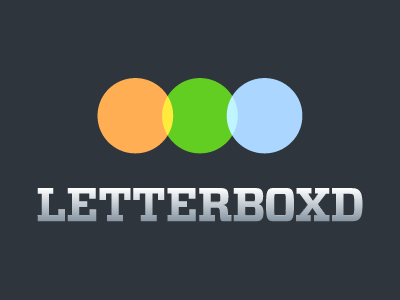 His death is making some of the others jumpy, but once again Starrett keeps his group together, by first giving their former friend a proper burial and banding together once more. But by this point, they’re barely hanging on. Stryker’s got them on the run and Joe knows he needs to have it out with his arch-nemesis once and for all if things are ever going to return to the status quo. His dreams of ending this whole thing are ludicrous because there is no way he can get out alive. His wife knows it. He knows it, but it doesn’t stop him and his American Dream. It’s interesting how Shane at first does not try to stop him, but then he gets tipped off to what awaits Joe, and he decides to go in his place. This is his arena after all. The gun we all fawn over is finally getting put to use as Shane rides into town for the final showdown to have it out with the men in the saloon. However, although the shootout is intense it ends very quickly. Thus, what is really interesting are the moments beforehand where friend is literally fighting friend. Both doing what they think is right. However, since Joey only thinks in absolutes, when he sees Shane hit his father over the back of the head, he initially reacts with hatred towards his fallen hero. He doesn’t understand why all this is necessary. But as time goes on and he sees events unfold, he gets it. As Shane rides off into the night, Joey yells after him to come back, he cannot bear for this idolized man to ride off. It makes me wonder if young Joey grew up with the image of Shane, the hero of his childhood. The doer of good and the ultimate champion of the oppressed. The cast was rounded out nicely by some solid supporting players like Palance, Ben Johnson, Edgar Buchanan, Elisha Cook Jr., and down to Ellen Corby and even Nancy Kulp. 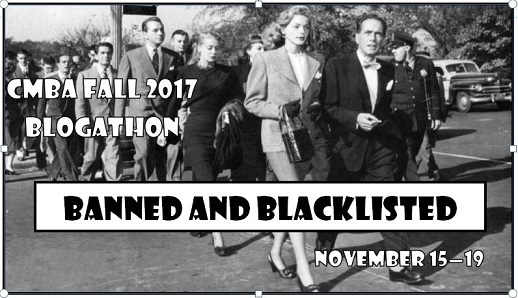 It’s astounding to think that this film could have starred Monty Clift and William Holden potentially with Katharine Hepburn as well. Because, after all, the casting of Shane feels just right. Clift would have brought depth and emotional chops to the role, as a wonderfully impassioned actor. 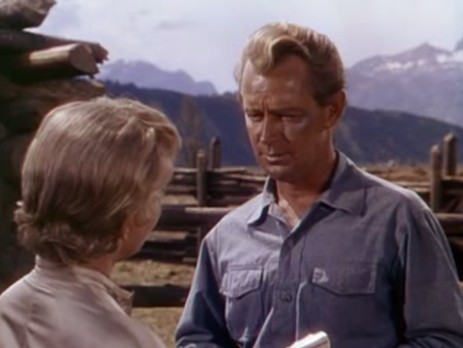 Just look at George Stevens’ A Place in the Sun (1951) for proof of that. 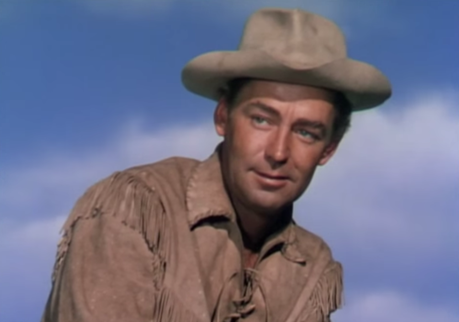 However, what Alan Ladd has is a serenity and simple goodness that still somehow suggests something under the surface. It begs the question, how can someone so upright make a living packing a six-shooter? No doubt I like Holden better as an actor, but Heflin has the scruffy outdoors-man look, while still reflecting high ideals. 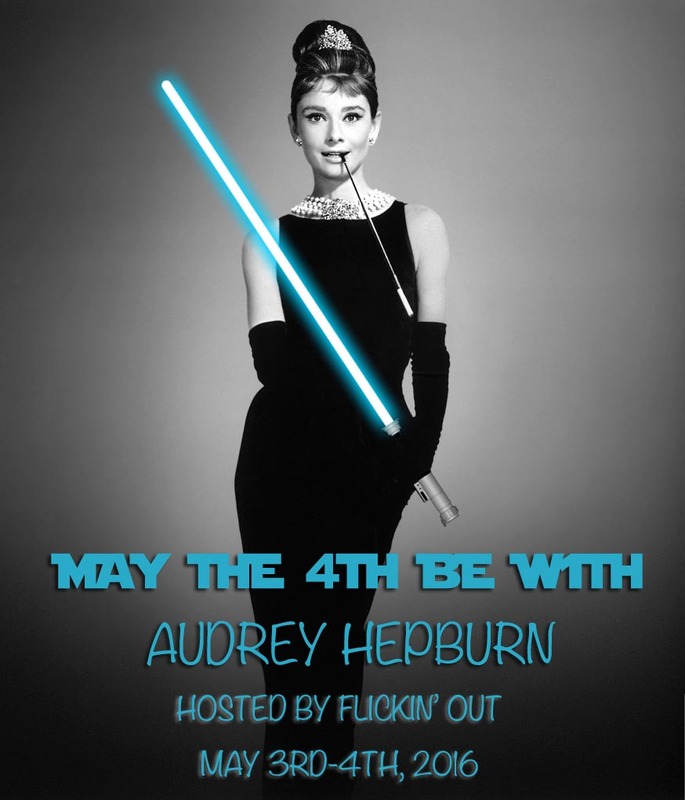 Hepburn just does not seem to fit a western. This is one of the instances when all the pieces seemed to fit into place and we were blessed by a western classic that never seems to lose its luster. In a sense, we become boys again like Joey, completely in awe of Shane. Let us revel in that feeling, that moment of innocence once more. In one of Howard Hawk’s best westerns, John Wayne plays a rough and callous cattle rancher who adopts an orphaned boy as his son. Wayne attains his dream of a ranch and yet if he wants to survive he must drive his herd somewhere to make a profit. Despite the hardships, the fanatical Wayne will not turn back or budge on his convictions. 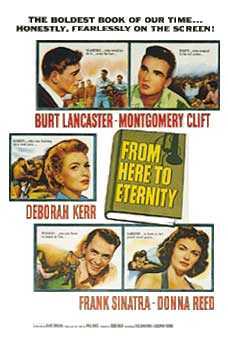 As often happens, a conflict builds between Wayne and his son (Montgomery Clift), ending in Clift taking charge of the herd. The young cow herder succeeds in leading the cattle and yet his step-father is now bent on revenge. In the final showdown the two men face off one against the other. However, by the end their true feelings are revealed and they are reconciled. Overall this is a good western with a supporting cast including Walter Brennan and Noah Beery Jr. 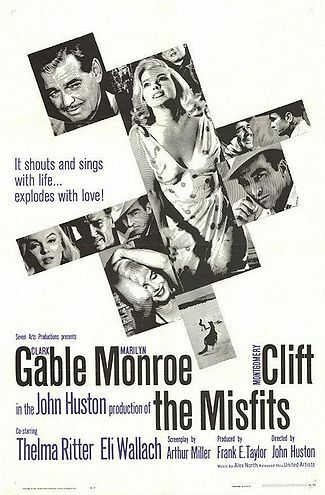 The Misfits is a film directed by John Huston and starring the likes of Clark Gable, Marilyn Monroe, Montgomery Clift, Thelma Ritter, and Eli Wallach. The story opens in Texas where a young woman is getting a divorce in Texas with the support of another divorced woman. After she goes through with the proceedings she feels bad but her spirits are lifted by a mechanic and then an aging cowboy who both find her extraordinary. She and the cowboy move into the half-finished home of the widowed handy man on his urging. Rosalyn and Gay slowly become closer and then he resolves to rope some wild mustang for money. Later, they go to a rodeo and meet Gay’s friend Perce who takes part in the dangerous proceedings. After a night on the town, he eventually joins the other two men in their endeavor. However, when they actually begin Rosalyn is horrified by the whole thing. In the end, Gay is back with Rosalyn but not without a great deal of strife over the horses. 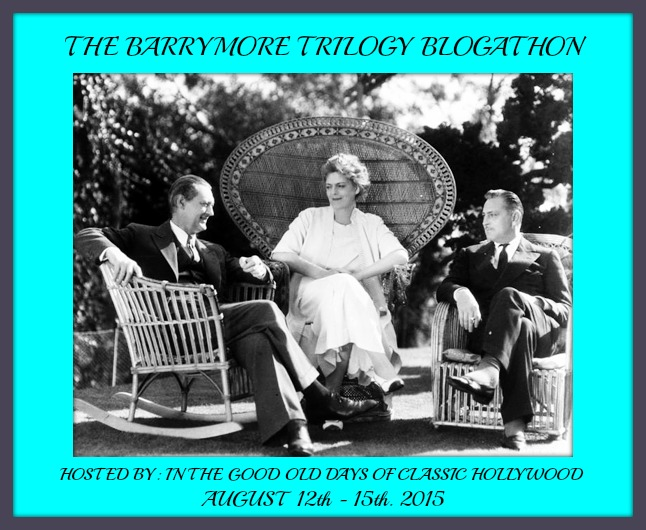 In many ways this film can be seen as prophetic and it certainly is historically important because it was the last film of both Marilyn Monroe and Clark Gable. Gable looks haggard and Monroe seems highly emotional, possibly hinting at their imminent deaths. Both the acting and the Arthur Miller script were commendable, and I think a good deal of credit has to be given to Eli Wallach and Thelma Ritter for their performances as well. This epic court drama relates the true story of the War Crime Trials after World War II. With Stanley Kramer directing, this cast is amazing. 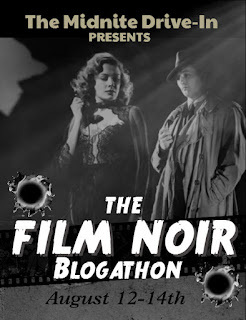 Spencer Tracy, Burt Lancaster, Richard Widmark, Marlene Dietrich, Montgomery Clift, Judy Garland, Werner Klemperer, and even William Shatner all play a part. However, Maximillian Schell is by far the standout because he is such an amazing defender of his country’s honor throughout the entire film. He wants the Holocaust to be known and yet all the while he goes through the case with dignity even though the pressures are so great. For every intense moment the viewer is stuck in their seat and when the verdict comes it is hard to contain the emotion. This movie should be seen by all not only because it is great but it also chronicles an important event in history. 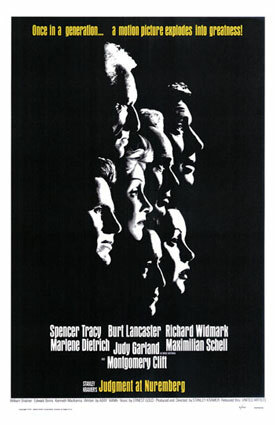 Whatever happens we should never forget the events surrounding the Judgment at Nuremberg. 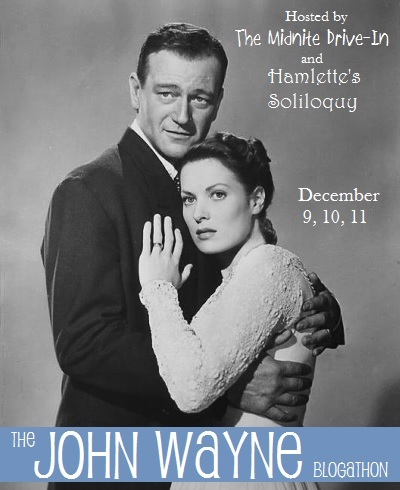 Starring Olivia de Havilland and Montgomery Clift with director William Wyler, the film takes place in New York in the 1840s. Catherine is a shy and awkward young woman who lives with her domineering father who is a prominent widowed doctor. At a party a young man introduces himself and begins seeing Catherine frequently. Quickly their plans turn to marriage but her father will not approve. Since her lover is not rich, he sees him as a fortune hunter. Catherine decides to elope with her love, but he never returns leaving her feeling rejected and forlorn. soon the doctor gets ill and dies, but the relationship does not end will since Catherine blames her father. And in the process she has grown cold. Clift’s character finally returns and after some reluctance Catherine seems to agree to get married. he leaves to gather some belongings only to return to a bolted door. Catherine gives him some rejection of his own after what she endured. This films becomes interesting because you do not know who was truly in the right. 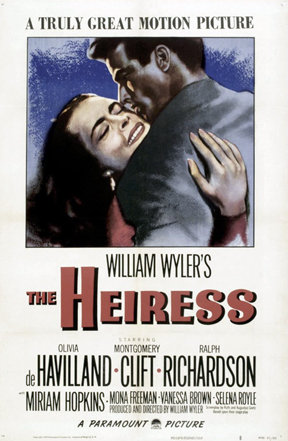 First Clift seems to be the heel and then de Havilland evolves so much the audience turns on her.